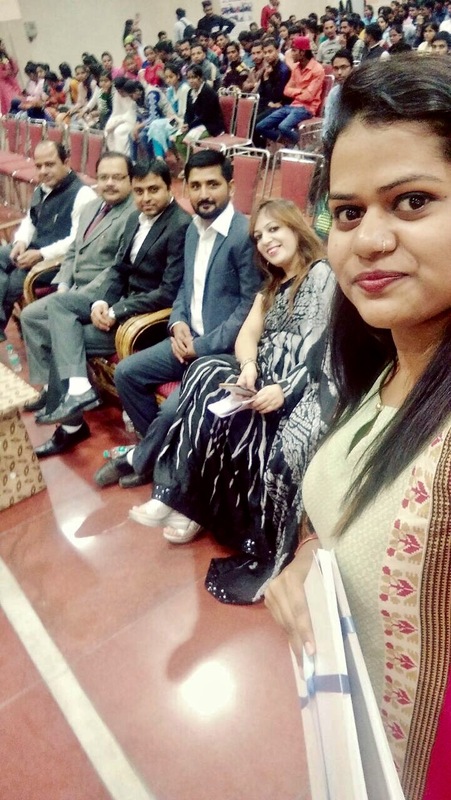 S.E.BIZ Infotech Ltd Conducts Convocation Ceremony-Certificate Distribution Programme for NULM-A Mission to Alleviate Urban Poverty – The event turned out to be a Mega Success and has been a much talked about event of the Tricity. The above posted media/press clips clearly depict the impact on the media, students and the city as a whole. SEBIZ Infotech Ltd Conducted Convocation Ceremony-Certificate Distribution Programme under the Employment through Skills Training & Placement (EST&P) Component of Deendayal Antyodaya Yojana-National Urban Livelihood Mission (DAY-NULM) (A Mission to Alleviate Urban Poverty of Ministry of Housing and Urban Poverty Alleviation (MOHUPA), Govt. of India) on 18th November, 2016 At CDCL, Sector 28-B, Chandigarh. 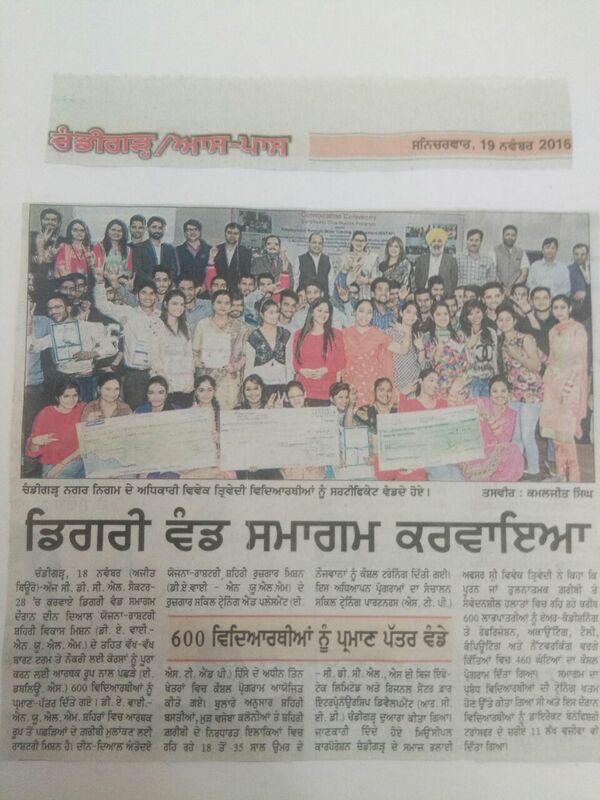 600 students were provided free Education and Training by Sebiz Infotech and its Training Partners and out of that 450 students are successfully placed. This event was jointly organized by CDCL, S.E. BIZ, RCED. 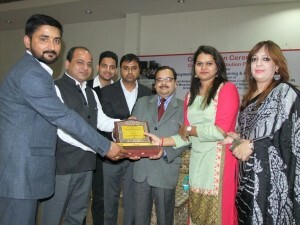 The Chief Guest was Mr. Vivek Trivedi Social Development Officer DAY- NULM. This program was done Under the Aegis of State Urban Poverty Alleviation Cell (CMMU), Municipal Corporation, Chandigarh. 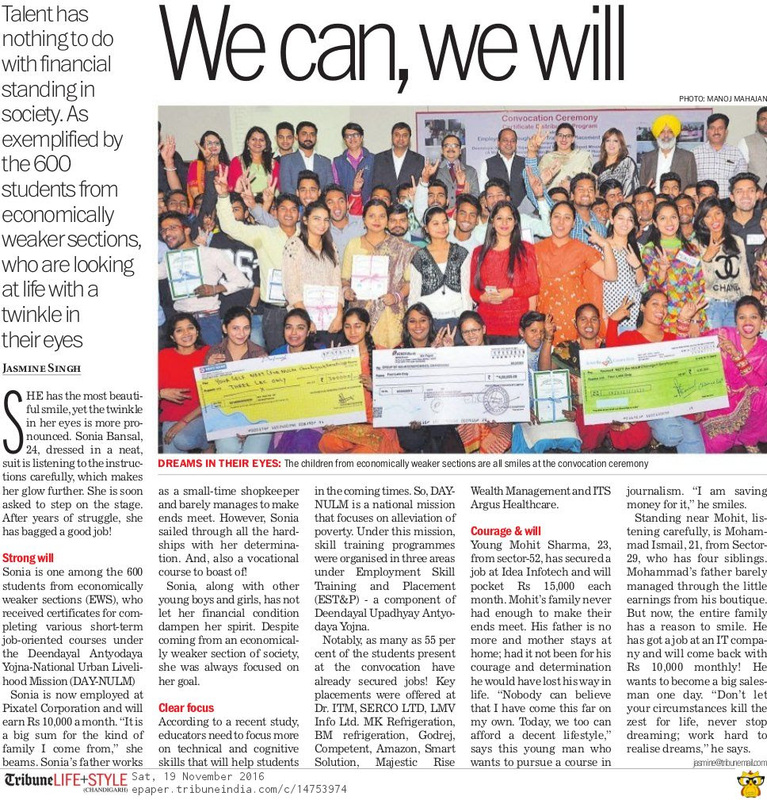 Certificates were distributed to the students .The Panel members and Speakers for the event congratulated the students and motivated them to take this opportunity to be financially independent. The efforts of Sebiz Infotech and its Team – Mr. Manu BDM: Gov. Projects, Ms. Sonika – Project Coordinator , Mr. Gagan- Head Gov. Projects, Ms. Ambika- Placements, Mr. Saurabh- CTO and Mr. Raminder-MIS Executive, were well appreciated by all.